Now that the kids are back in school I have been keeping my pantry stocked with snacks that the kids can pack in their lunch. My two youngest LOVE packing their own lunches and I love finding products with the Box Tops For Education™. 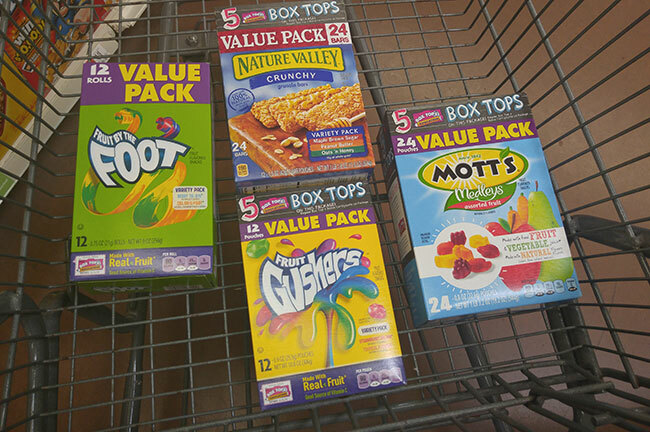 On my recent shopping trip to Walmart I found a few boxes of snacks that have FIVE Box Tops on them. Bonus Box Tops makes me smile! 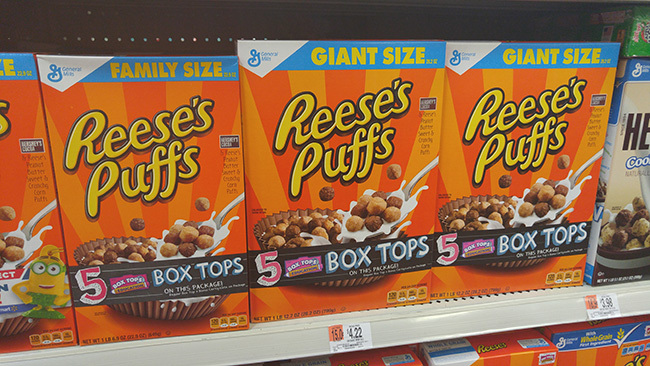 You can also find these Bonus Box Tops on some of the Big G Cereals like Cinnamon Toast Crunch, Cheerios, Reese’s Peanut Butter Puffs and more. 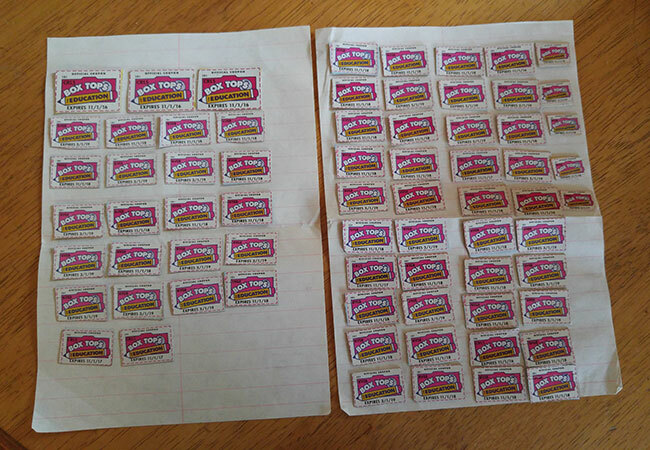 I have been collecting Box Tops for over a decade now. I started collecting them in 2001 when my oldest daughter started preschool. I didn’t have that much to spend on the school’s fundraisers but helped by turning in the Box Tops that I collected from purchases that I would already normally buy. Everyone here knows not throw away a Box Top because they are like money in our eyes and we wouldn’t dare throw away money. Not only does everyone here in my house clip the Box Tops from products we buy, my Nana also saves all of her Box Tops and sends them to the kids after she has collected a bunch for them. A few days ago we received a card in the mail from Nana with a bunch of the Box Tops that my son is adding to his collection. This year my son gets to take all of the Box Tops that we collect to school and he is excited. The last couple years he has had to take turns with his sister but since she now goes to junior high, he gets to take all of them! 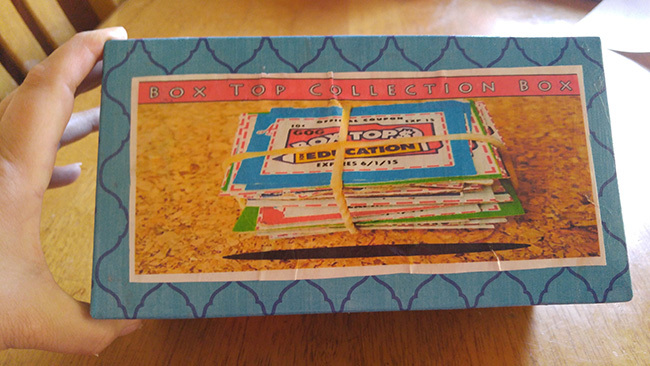 This school year we have made a Box Top Collection Box and my son can’t wait until that box is full with Box Tops that he can surprise his teacher with. 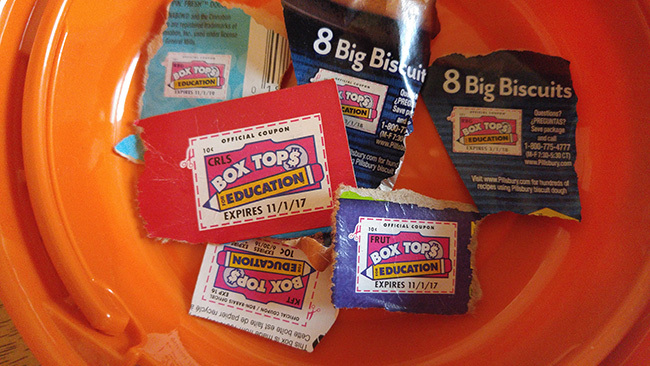 My son’s school encourages the students to clip Box Tops and provides incentives like pizza parties for the classroom who turns in the most Box Tops each month. The librarian has also rewarded my kids in the past with little surprises from her prize box for giving her their Box Tops when they visit the library to check out a book. Clipping Box Tops on products that you already buy is easy and can help support your children’s schools. The Box Tops are worth $.10 each for the school and can be redeemed for money that they can use on whatever they want. For some school’s the Box Tops can help to provide extra books for their libraries, financial support for field trips, new sports equipment, new computers and more! Box Tops for Education has contributed over $525 million to it’s 80,000 K-8 participating schools since it launched the program in 1996 and is one of America’s largest school earnings loyalty programs.